SAINT JOHN, N.B. -- Irving Pulp and Paper Ltd. has been hit with one of largest penalties ever imposed in Canada for an environmental violation. The company, based in Saint John, N.B., was fined $3.5 million Monday for dumping improperly treated effluent into the Saint John River over a two-year period. The firm has also been added to the Environmental Offenders Registry, which includes information on convictions of corporations under federal environmental laws, according to Environment and Climate Change Canada. On Oct. 9, the company pleaded guilty in Saint John provincial court to three charges under the pollution prevention provisions of the federal Fisheries Act. "The charges stem from several incidents that occurred between June 2014 and August 2016, when improperly treated and deleterious effluent was released ... into the Saint John River," the federal department said in a statement. In a plea deal struck with the Crown, the company admitted its mill near the Reversing Falls tourist attraction in Saint John failed to meet standards under the federal Fisheries Act. The company failed a test that requires 50 per cent or more of tested rainbow trout to survive 96 hours in 100 per cent effluent. However, the company said the Crown and federal authorities acknowledged the river was not harmed by the discharges, and no fish were killed. "Safeguarding the environment has been and continues to be our top priority," company vice-president Mark Mosher said when the company pleaded guilty on Oct. 9. "We respect the decision of the court and will ensure the mill meets the stringent guidelines." 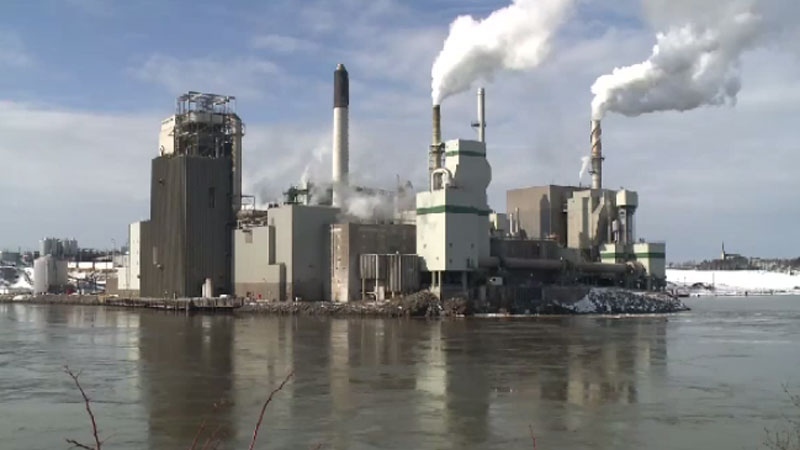 Irving Pulp and Paper has also agreed to build a new, multimillion-dollar effluent treatment facility over the next five years. The mill, which employs 375 people, currently uses a so-called reverse osmosis system to meet environmental regulations. The company has said it invested heavily in this system because the mill's neighbours were opposed to an effluent treatment facility. The company also confirmed Monday it will provide $1.16 million to the University of New Brunswick, where the Canadian Rivers Institute will use the money to conduct research related to the conservation of Atlantic salmon. The head of the institute, Allen Curry, said his group will now be able to buy more equipment and hire more students and technical staff. "We're attracting students from all over the world," he said in a statement, adding that he expects to double the number of students working at the institute. The company had originally planned to give money to a non-profit conservation group known as the Collaboration for Atlantic Salmon Tomorrow (CAST). Although there are no commercial ties between CAST and Irving Pulp and Paper, the co-CEO of parent company J.D. Irving Ltd., Jim Irving, is one of CAST's three directors. Irving Pulp and Paper has admitted its mill near the Reversing Falls tourist attraction in Saint John failed to meet standards under the federal Fisheries Act.